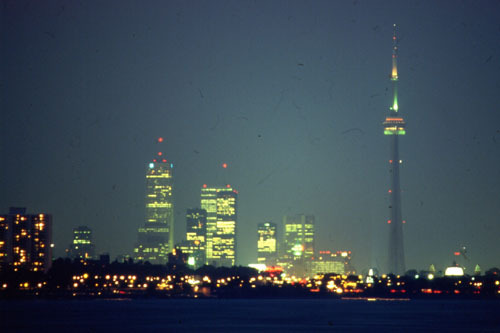 Sitting on the short of Lake Ontario on the same latitude as northern California, with glittering towers and a futuristic skyline, Toronto is Canada's largest city and the economic hub of the country. In the downtown core you can escape the heat or cold by using the 27km (16 mile) underground PATH system, which links more than 50 office towers and 1200 stores. Explore further and you'll find the city is a collection of neighborhoods - and one of the most multi-cultural cities in the world. If you are looking to visit Toronto, don't leave before you've seen the city's "can't miss" attractions. Guinness once named this the World's Tallest Building. A glass-walled elevator zips to the observation level in just 58 seconds. The view is so spectacular you may even be able to see the spray from Niagara Falls on a clear day. Or stand on a glass floor 113 stories above the ground. Along with basic food concessions, there's a lovely dining room called 360 that boasts the highest wine cellar in the world. Closest subway stop is Union Station. 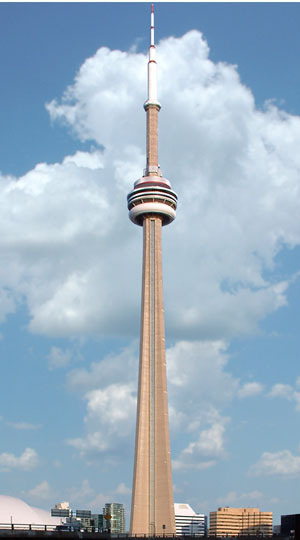 Located on Front Street at the base of the Entertainment District, beside Toronto's domed stadium. If you are a devout hockey fan, the Hockey Hall of Fame is a must, but don’t pass it up if you’re not enthusiastic about the sport – you may be surprised at how much fun you have here. 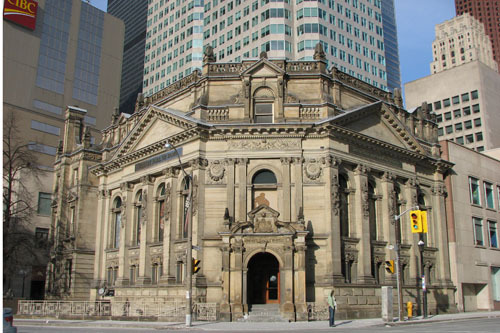 The HHOF first opened its doors in August 1961, and in 1993 it officially opened at its extraordinary new home at Brookfield Place in the heart of downtown Toronto. The new state of the art facility has helped make the HHOF the innovative leader among sporting shrines. The biggest draw is the Stanley cup itself (sometimes a replica, sometimes the real deal) – and visitors can get up close and personal with this legendary trophy (yes, you are allowed to kiss the cup). The rest of the hall celebrates everything hockey – with the largest collection of hockey memorabilia in the world, to footage of famous hockey moments in history in its two theatres, and interactive opportunities to record play by play of famous games, take shots at real-time goalies, stop the shots of Gretzky and Messier, and visit a replica dressing room of the Montreal Canadians. A hockey fan could easily spend half a day here, but there is enough to keep anyone entertained for several hours. The gift shop has all kinds of memorabilia for sale. Note that the entrance can be a bit tricky to find – it is located in the lower level of Brookfield Place at the corner of Yonge & Front Streets. Eclectic and vibrant, Kensington Market is a unique neighborhood in Toronto, just around the corner from Chinatown, where locals and tourists happily mingle. With its hippy vibe and densely packed shops and services, it is a great place to just wander around and shop. 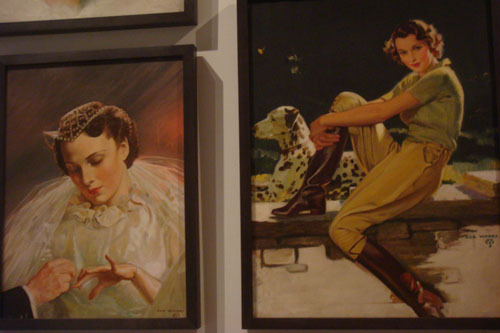 The area is a mecca for all things vintage, and an affordable place to find really unique clothes and jewelry. You’ll find basic services like butchers, barbers, groceries, bakeries, and more as well as a diverse collection of cafes, restaurants, bars, unique kitchen and gift stores, vegetable stalls, vintage shops and much more. Try Amadeu's for Portugese food or Fika for great coffee and pastries. This is a great spot to pick up cheese, spices, fresh seafood, meats, and delicacies from around the world. 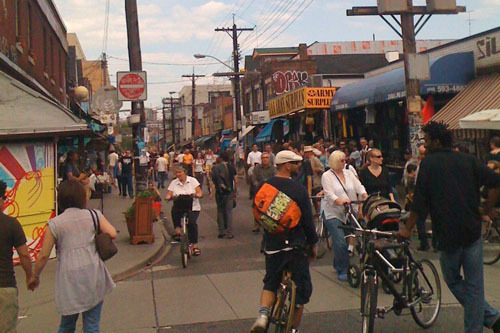 If you happen to be in Toronto on the last Sunday of the month between May and October, head over to Kensington Market for Pedestrian Sunday, when people spill into the streets and enjoy an impromptu festival of street art and culture. Parking is extremely limited, especially on weekends. Walking is the best way to get here from downtown. There's a parking garage on St. Andrew St, just off Spadina Ave. Some shops are open before 11a.m. and restaurants open well into the evening. A short taxi ride from the harborfront area and a 25 min taxi ride from the airport. Metro stop is Museum on the yellow line, 15 minutes by subway from the harborfront. Don’t let the Spanish name fool you. This home was built with English baronial splendor soon after the turn of the twentieth century by Canadian land speculator Henry Pellatt. After earning his knighthood, old Henry decided to stake his place in society by building this folly on top of the hill. Complete with climbable towers and quarters for visiting royalty (just in case any showed up), it towers over the older and more historic Spadina House. The combination of over leveraging and a fall in land prices between the wars, forced Henry to give up his beloved Casa Loma only ten years after it was completed. It has since been used as a club house by the Kiwanis and is now available for weddings and bar mitzvahs and excess promotion by the tourist board. Visitors can enjoy the climb up to the tower offering panoramic views of Toronto, as well as the beautiful formal garden around the house. 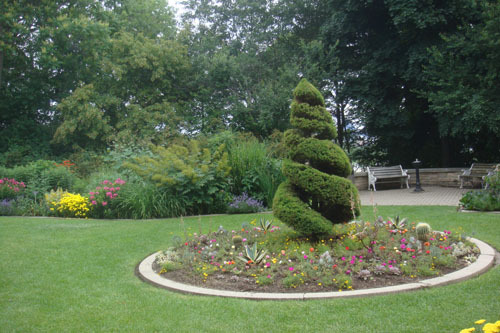 The outlying area is landscaped in a natural style, but offers a profusion of color all year round. A short taxi ride from downtown or the airport, or 15 minute subway ride to the Dupont Metro stop. From the metro, walk up Spadina Avenue, then up the staircase to Austin terrace.